This week at #INBOUND18, HubSpot unveiled one of their biggest product updates ever: HubSpot Video, powered by Vidyard. We were so excited about this rollout, we invited Vidyard’s VP of Marketing, Tyler Lessard, to join us for our live recording at the Podcast Lounge. We started off this episode by hearing from Tyler on how HubSpot Video came to be, and how Vidyard became the engine that powers it. Move on to where the HubSpot Video product is going, and what role Vidyard is playing in that. Why Switch from Wistia to Vidyard? One of our first audience questions was about Wistia. This listener said their organization is currently entrenched in that platform and they’re now wondering if they should cancel. 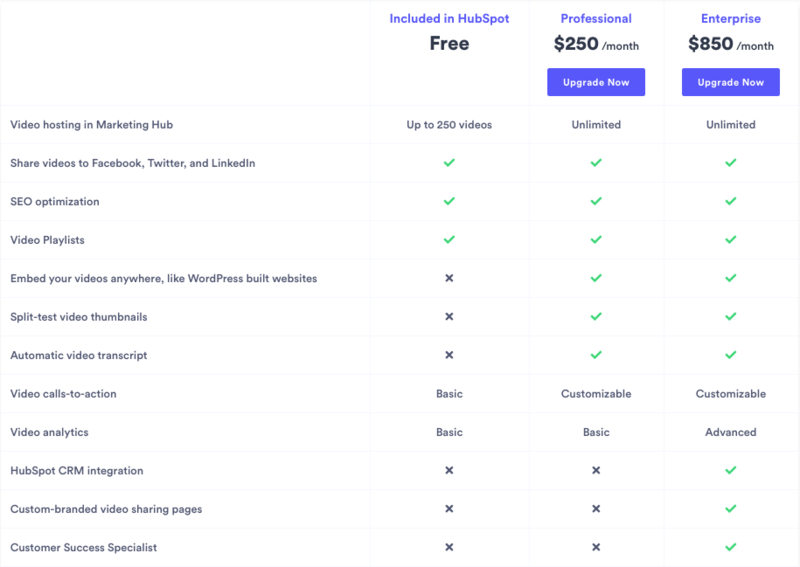 Tyler explained a few reasons why it makes sense to switch over to Vidyard and HubSpot Video, the most important of which (in my opinion) is the in-app functionality in HubSpot, with opportunities to have HubSpot Video scale with your business. Speaking of scaling - there’s been a lot of questions flying around about what’s included with HubSpot Video and who gets it. In short, HubSpot Video is included with HubSpot Pro or Enterprise subscriptions. For Marketing Hub, you get video hosting and management. For Sales and Service Hub, you get 1:1 video creation (i.e. in-app GoVideo). If you’re looking for more advanced video features, you can purchase an additional subscription to Vidyard Professional or Enterprise. Verblio makes content creation happen. They've stayed laser-focused on building an agency-minded platform to keep your content organized by client. They handle logistics—you focus on strategy. White-label content options and full-service account management solutions available. This is especially intriguing for agencies who are outsourcing writing! They co-create deeply personal content to power content marketing and SEO. It’s about the writing. 3,000 top-tier, U.S. based content writers. Quality vetted through rigorous testing and QA conducted by their in-house writing team. Verblio writers choose you. No more sifting through resumes. You tell their writers what to write and only purchase the content you like. Add Services to kickstart your content strategy, brainstorm topic ideas, get help with SEO or let us manage it all with Verblio Complete. Astrology to zoology, they scratch the content niche. Verblio writers have diverse professional backgrounds to serve a variety of industries. WHY THIS IS SUCH A BIG DEAL: They’ve got a free HubSpot integration that allows you to send over your purchased pieces as HubSpot drafts! One of the things that gets me most excited about HubSpot Video is how it can integrate with the CRM. Vidyard Enterprise ($850/mo for HubSpot users) opens up a whole slew of opportunity to start using watch data to better segment and target users. Plus, being able to add CTAs and forms to the end of videos (for any HubSpot Video) is going to make it easier for organizations to leverage video for conversions. We didn’t actually talk about this in our live recording - but I think it’s an interesting and pertinent request! “We are finding the calling tool in HubSpot very nice and love to be able to click and call all from one place however, more and more video calls are the way to go and it will be great to implement this on HubSpot too. We kept a few minutes at the end of our recording session for audience questions - listen to the episode to hear everyone’s burning questions! Until next time. This is Carina Duffy, Marcus Sheridan, Zach Basner, and Tyler Lessard saying to you, go out into the world and do some happy HubSpotting!